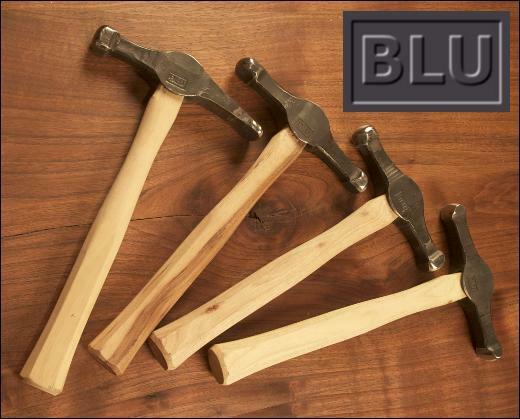 Repousse Hammers from Big BLU Hammer Mfg., Co. Custom forged repousse' hammers designed and made by an artist blacksmith who also uses them. These 1-1/2 pound hammers are suitable for repousse in copper plate and steel. The set covers the most useful shapes for repousse' work, armour, raising and general sculptural plate work. The only shape missing is a large area planishing hammer.